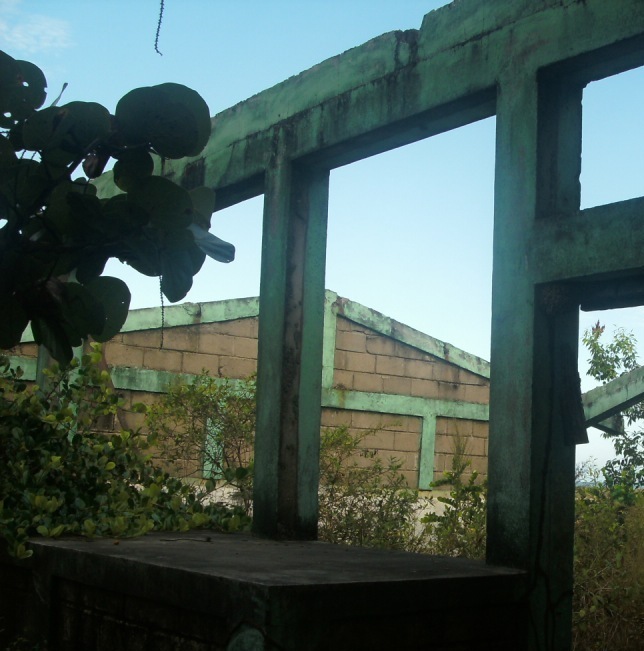 Part II: Threats to Garifuna Livelihood from Climate Change: visit to the remote shrinking community of Batalla. 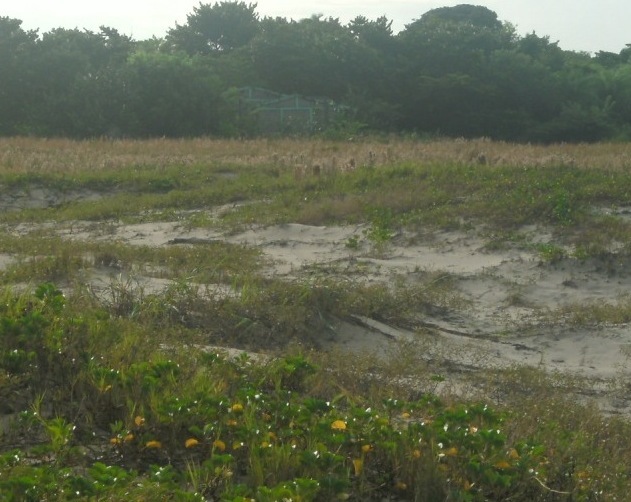 As we report about the catastrophe that befell the community of Batalla in November, 2005, the origin story of the Garifuna people is worth repeating: the Garifuna (Kaliganu) are descendants of Indigenous Taino and Carib peoples who sheltered and merged with Africans whose slave boat ran aground on the island of St. Vincent, allowing them to escape the trauma of chattel slavery. There they took on the subsistence agriculture and fishing culture of the Taino-Carib peoples, alongside small-holder French settlers. The Garifuna survivors of the subsequent defeat of both the French and Garifuna who fought together against usurper British plantation barons and their military, were shipped as prisoners of war to Roatán off what is today the Honduran coast, left basically to fend for themselves, and from there using dugout canoes the surviving community settled what was then loosely governed British Honduras on the Caribbean coasts of Belize, Guatemala, Honduras and Nicaragua. Today they speak the Garifuna language, composed of Taino and Carib, and smatterings of European and African languages, languages that have otherwise gone extinct or nearly so, and practice an ancient spirituality borne of their ancestral cultures. 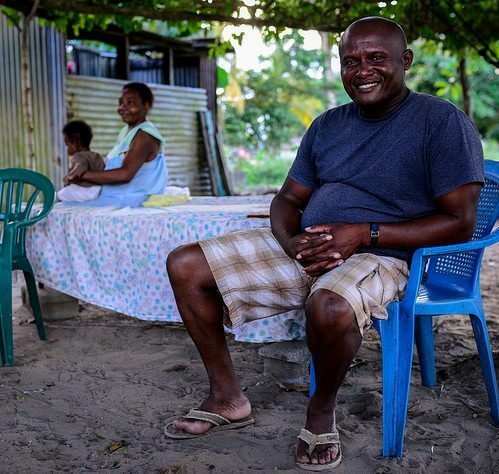 In the Garifuna coastal economy, the men traditionally do the fishing and clearing work, while the women engage in agriculture and food processing, famous for their cassava breads and coconut-flavored fish dishes and breads. 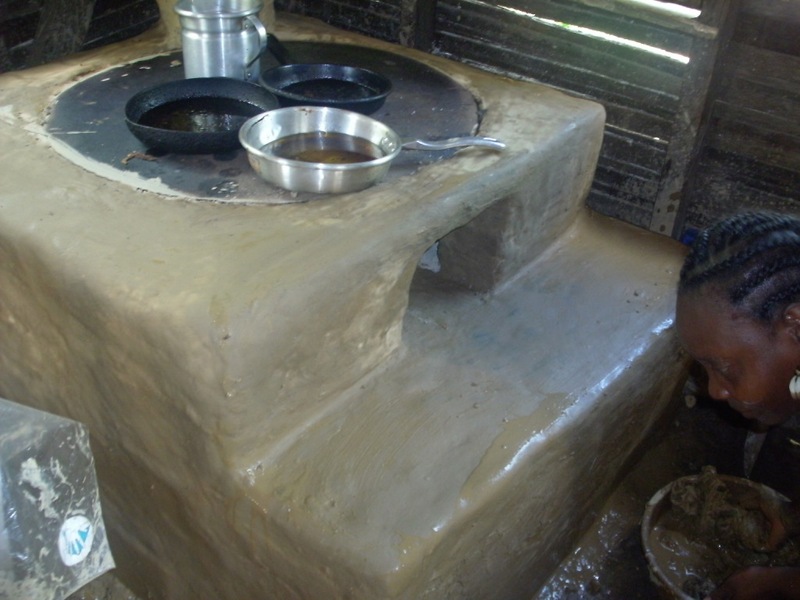 Cassava Bread Comal Stove, aka 2014 in Dagadagati, where survivors of Gamma have settled. The Garifuna are a robust, joyful and strong people very much at home in their rich coastal communities, with a long history of resistance and endurance, and they have lived in these places from a time many years before the nation of Honduras came to exist, and fought with distinction alongside the famous Honduran independence fighter Morazan. 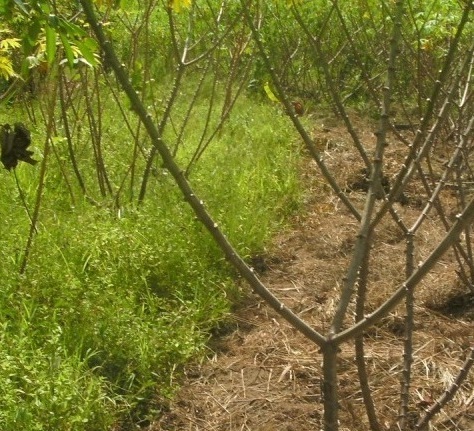 The name of the farthest east Garifuna community is Batalla, which is Spanish for ¨battle¨: local folk said this name referred either to a battle the Garifuna warriors won against British pirates or the name of a wooden basin used in the processing of cassava. To reach this community we traveled in an ably-driven four wheel drive pickup truck, and were forced to cross a deep creek that filled the floor of the truck with water seeping through the door but fortunately did not kill the engine, and to navigate across a rustic bridge across a swamp, as well as move through sand and all manner of ruts for several hours. Those were the Gamma waves of climate change. One could ask whether this was merely an unfortunate act of nature. However, leaders and residents of Batalla categorized this catastrophe as ¨man-made¨ for the following reasons: 1) in the long history of their community they had never seen the lagune take on so much water so quickly and attribute this to a climate change-related phenomenon; 2) the hills and mountains inland from Batalla community had been deforested by predominantly non-Garifuna people moving in to customary Garifuna territory to engage in cattle ranging and logging, 3) the peninsula itself has been narrowing all along in what appears to be a steady rise in the sea level and storm surges, 4) some mangroves in the area have begun to die due to salinazation and 5) there is no other explanation for this extreme occurrence besides the increase and intensity of extreme weather, intensity of rainfalls, etc… as well as the rise of sea surges, etc…all of which can reasonably explain what occurred as a result of the Gamma storm. The President of the local Patronato of Batalla, town, Carol Figueroa gave additional testimony of the threats to their livelihoods and lives. He said that the government of Honduras had signed a contract with a foreign oil corporation, BG group out of the United Kingdom, to explore and drill for oil all along the coastline and in the fishing grounds of Garifuna and Miskito communities. This, he said, had been done in violation of Convention 169 of the International Labor Organization of the U.N. that requires by the Honduran constitution (a signatory of this Convention) to undertake prior, free and full consultation dependent on the consent of the Garifuna people before such projects can be undertaken. He noted too that BG group had offered annual funds of 200,000 Lempiras (about $10,000 USD) for community projects if we were to agree to their oil exploration, an offer they had so far rejected. 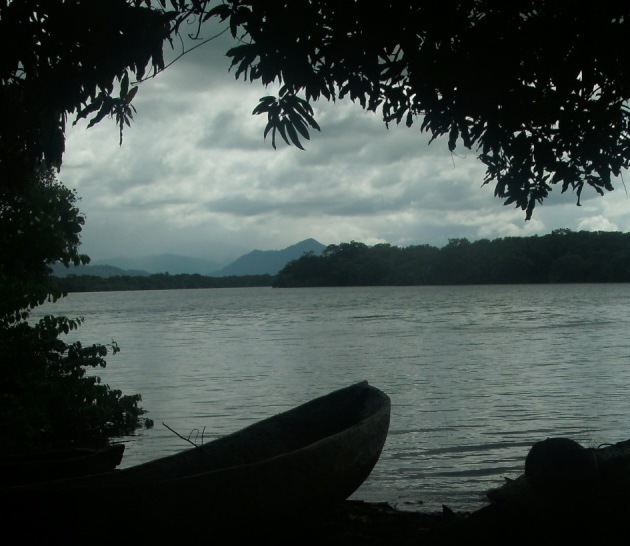 Therefore, he said, this concession signed by the Honduran government, was illegal and the Garifuna residents of Batalla and OFRANEH were insistent that a genuine consultation with full transparency and disclosure of the likely impacts of such a project must be done before any search and drilling for oil. Carol asked our delegation to find ways to research the history of BG Group and of the likely impacts of oil drilling in their fragile coastal ecosystem. 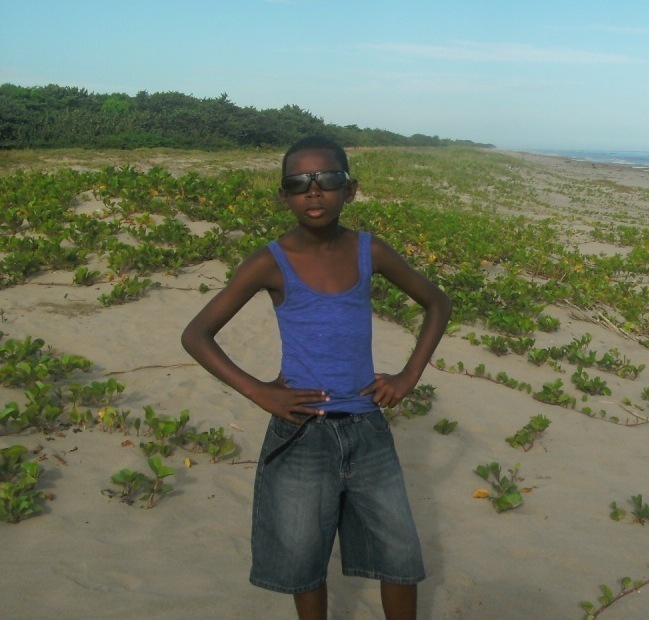 The Garifuna people, he insisted, could not continue to exist as a people without the economic benefit of healthy fisheries, pure water, freedom from pollution, and areas to grow their subsistence crops. He also lamented that more was not being done to provide opportunities to youth in order that they could remain in their communities. Instead, he said, our youth find it necessary to migrate to far away cities and even to the U.S. in order to find work. What is needed are scholarships and educational and vocational opportunities here in their home communities. He asked us how this might be achieved. Steve Pavey of our delegation offered to connect the Batalla leadership with an international effort of young immigrants that recently held an international gathering in Mexico City to find ways to support their communities of origin and apply their educational advances and increasing international networking for the betterment of their home communities. 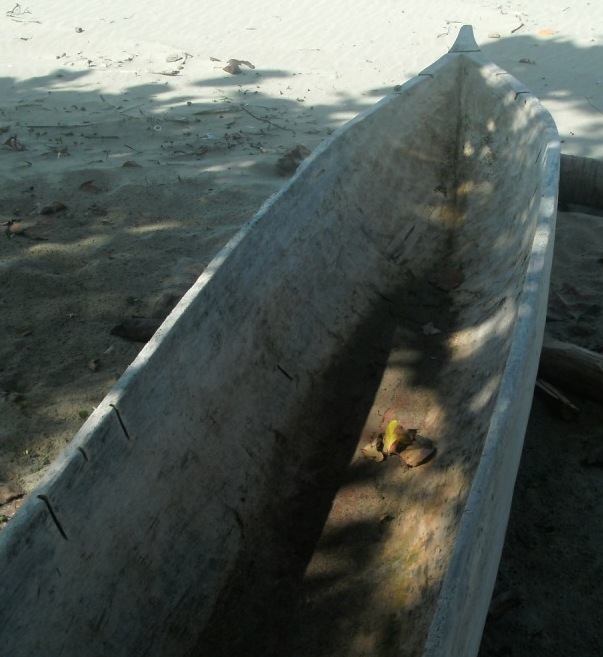 Due to scarcity of large trees, this dugout canoe is worth today equivalent of $300 USD.